VW's Electrify Canada system will support all automotive brands to help ensure all EV drivers have access to these chargers, regardless of their choice of manufacturer. 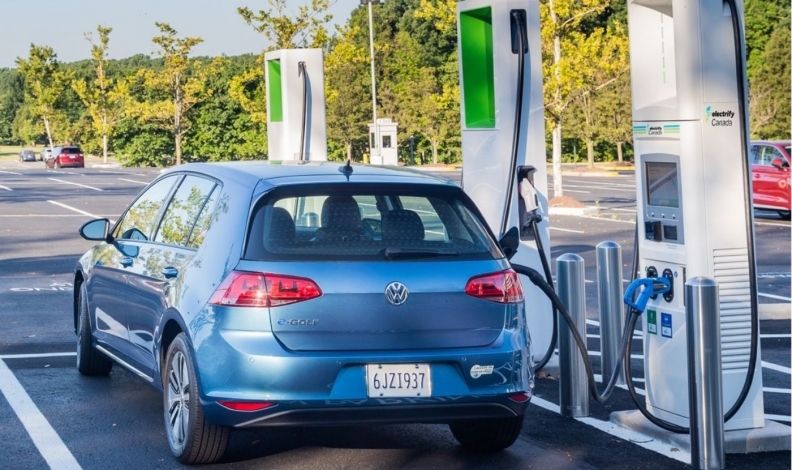 Volkswagen Group Canada says Ontario’s decision to end electric vehicle rebates is “disappointing,” but the move does not alter the auto company’s plan to build an ultra-fast electric-vehicle direct-current (DC) charging network across the country. VW announced formation of a new company, Electrify Canada, that will build the network. It’s slated to be operational in the second quarter of 2019. “The Canadian electric-vehicle market is growing, creating a great need for charging that is fast, convenient and available in key locations,” said Daniel Weissland, CEO, Volkswagen Group Canada. The initial plan includes installation of 32 charging sites near major highways and in major metro areas in British Columbia, Alberta, Ontario and Quebec. Each site will have four chargers on average and use non-proprietary fast-charging technologies. Electrify Canada will manage the rollout and ongoing operation of the network, working with local vendors to locate, build and operate the system. The automaker did not say how much the project will cost. The system will support all automotive brands; Tetzlaff said that the cost to drivers is not yet known. He said while owners of current eGolf will benefit, there’s a new generation of electric vehicles that will be built on Volkswagen's new MEB platform for EVs. “We won’t see the first one until about 2020 but it will be in Europe before that,” Tetzlaff said. “However, we decided why wait? Let’s get people thinking electric by forming the new company. Porsche spokesman Patrick Saint-Pierre said the system will support the new Taycan, a sedan that’s slightly smaller than Panamera. “We will see it in 2020,” Saint-Pierre said. Audi has the e-tron plug-in hybrid, but the company has pledged to have 20 electrified vehicles — most of them pure electric — by 2025. Audi spokesman Cort Neilsen was unavailable for comment.